TiVo 2019 GameSkip | Skip the Game. Watch the Ads | Chance to Win! If you watch the Big Game for the breaks, TiVo's got the button for you. Get a sneak peek at the most anticipated ads, a Big Game chance to win one of three prizes, unique TiVo features and more! Will Christina Applegate ever get in? Tune in and find out. Accents matter when it comes to a can of Bubly. Colgate and Luke Wilson explore how close is too close. Game day's gonna get nutty with Planter's peanuts. Steve Carrell thinks Pepsi's ads might make you laugh out loud. To enjoy TiVo GameSkip, go to TiVo Online™, sign in to your account and record the big game. After recording the Big Game, look for the on-screen SKIP icon next to the recording. Then hit play, press the SKIP button and you'll zip right to the beginning of the next commercial break. Innovation is how TiVo says "Touchdown!" GameSkip is just one way TiVo is always striving to give you a better TV viewing experience. For additional previews of TiVo's next big features, join our Facebook innovation group. 1 On TiVo classic remotes, press the D button. If your remote has neither a SKIP or D button, the CHANNEL UP serves the same function. On all remotes, CHANNEL DOWN returns you the previous section. 2 No purchase necessary to enter or to win. Void where prohibited. Open to legal residents of the United States and the District of Columbia who are at least 18 years of age at the time of entry and who possess a valid email address and either an active Twitter account, an active Instagram account or an active Facebook account. Sweepstakes Entry Period begins at 12:00:01 a.m., Pacific Time (���PT���), on January 31, 2019 and ends at 11:59:59 p.m., PT, on February 5, 2019. For complete Official Rules, including entry instructions and prize details, visit https://explore.tivo.com/promos/gameskip2019sweepsrules. Sponsor: TiVo Solutions Inc.
3 TiVo reserves the right to terminate or change this promotion at any time without notice. Offer cannot be combined with any other promotional offers or discounts including multi-service discount. Taxes may apply to product purchased and/or service fees. Offer ends March 31, 2019. Early termination fee of $75 applies if you cancel your TiVo Service prior to the fulfillment of your 1-year commitment. © 2019 TiVo Corporation. All rights reserved. 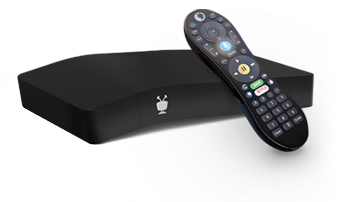 TiVo, the TiVo logo, the TiVo silhouette logo and SkipMode are trademarks or registered trademarks of TiVo Corporation or its subsidiaries worldwide. TiVo Corporation, 2160 Gold St., San Jose, CA 95002.